In the world of business today, the amount of time spent approving documents has a direct impact on the ability of organizations to accomplish their goals. Silanis Technology Inc. Founded in 1992 in Montreal, Quebec, Canada. 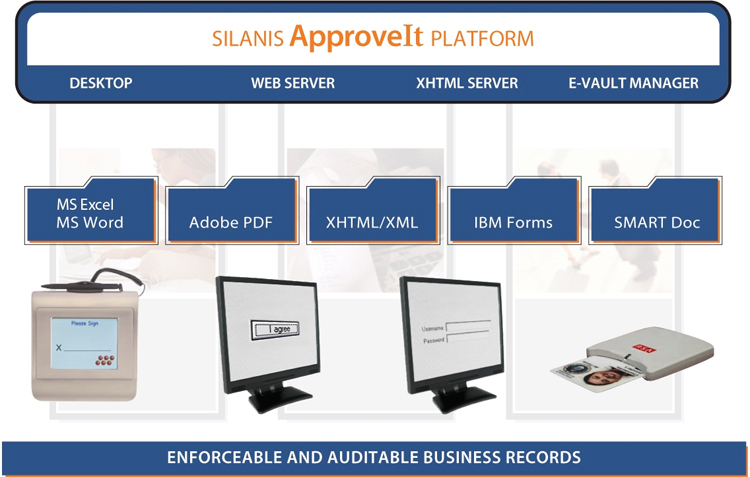 Silanis Technology is the largest and most experienced provider of electronic signature process management solutions. Silanis develops advanced technology to facilitate the creation, distribution and management of electronic documents in a multitude of operating environments. More than 1,100 government and commercial organizations, representing two million users, depend on Silanis' solutions to accelerate operations, improve service and reduce costs. 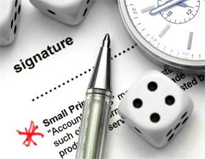 Projects and programs are often held up by the burdensome process of obtaining authorized signatures. From pharmaceuticals to insurance, from health care to the government, from manufacturing to telecommunications, it is virtually impossible to proceed with daily operations in the absence of an authorized signature. As long as organizations continue to require handwritten signatures affixed to paper documents, they are falling short of the ability to achieve a truly automated environment and to take full advantage of their established computing investment. That’s why Silanis Technology offers ApproveIt™, easy-to-use, off-the-shelf software that allows you to make the transition to paperless processes using your existing computer technology. ApproveIt incorporates Intelligent Signature™ technology to provide a secure, reliable method of electronic approval. Because ApproveIt allows you to produce secure electronic handwritten signatures with built-in intelligence, you can now verify the content of documents that contain electronic approvals. And, its automation and control functions interface with all major document and data formats to ensure that you have an approval application that works across the enterprise. Streamline business process without reengineering. Increase productivity and quality time. Reduce paper and copy requirements. Ensure legal and regulatory requirements. ApproveIt is the only business application that enables total business automation via E-signing solutions for all your enterprise needs. One common way to sign multiple formats. Only solution with support for CAC/Smartcard security audit information. Only solution to support multiple methods of signing. Only solution to support multiple versions of document types. Only solution to implement dynamic insertion of signing related data (DAD – Dynamic Approval Data). Only solution to support the sign off of corrections/modifications (Re-validation). Only solution to support sectional signing across multiple document formats.